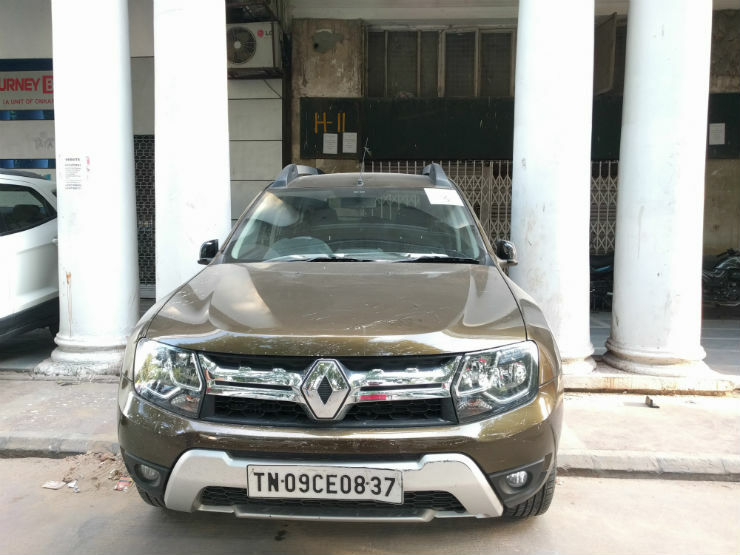 The Duster has been on sale in India since 2012. 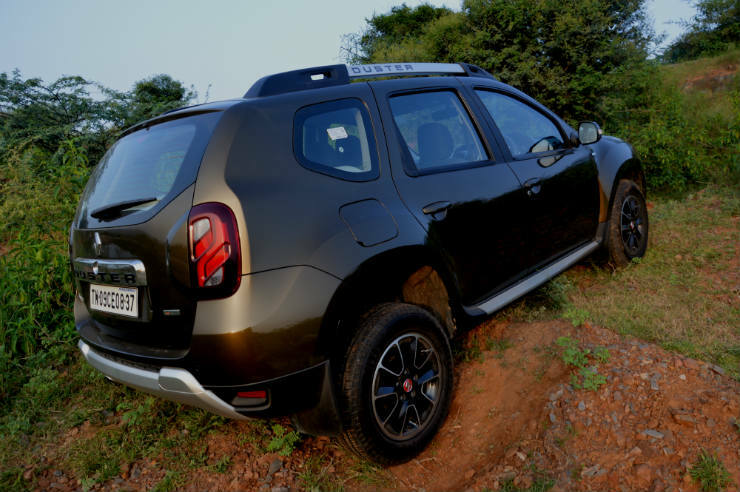 The SUV did very well for the company being the sole compact SUV on sale in the country at that time. Over the time though competition has become tougher and Renault began feeling the heat. 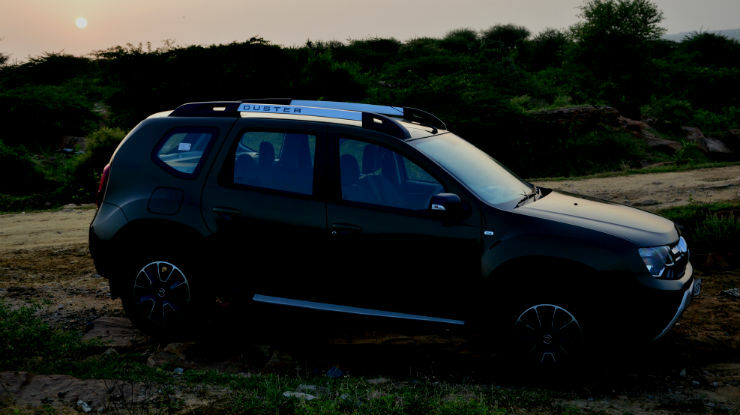 To keep the model fresh, Renault gave the Duster a minor facelift in February this year. 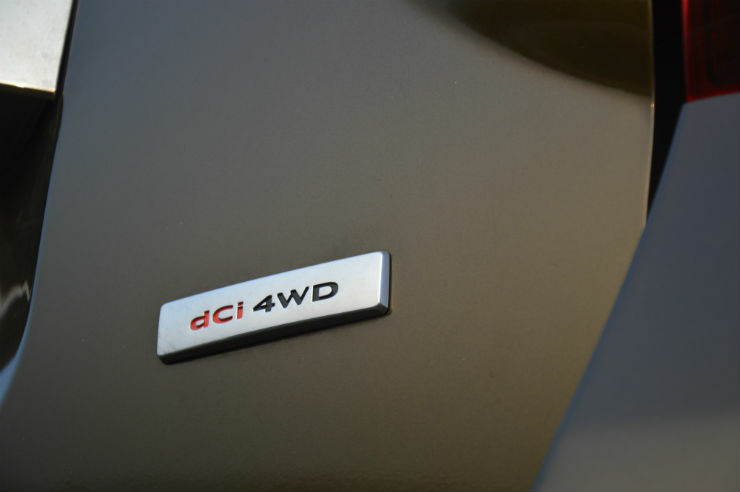 We spent a few weeks with the AWD variant to see how it is to live with. In the looks department, the facelift is very minor. 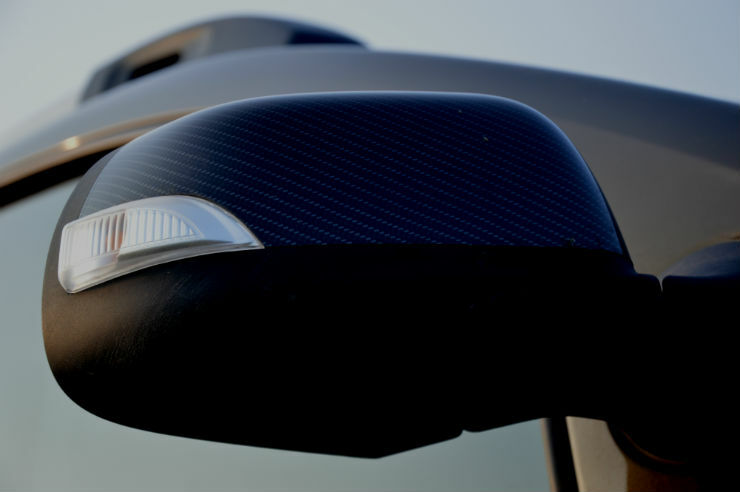 Main changes include a new headlamp design which now has a clear lens and a new LED tail lamp cluster with a waterfall effect. The grill, the front foglamp housing and the roof rails have also been changed and a new orange shade has been added to the car. The Duster continues to look butch and macho. 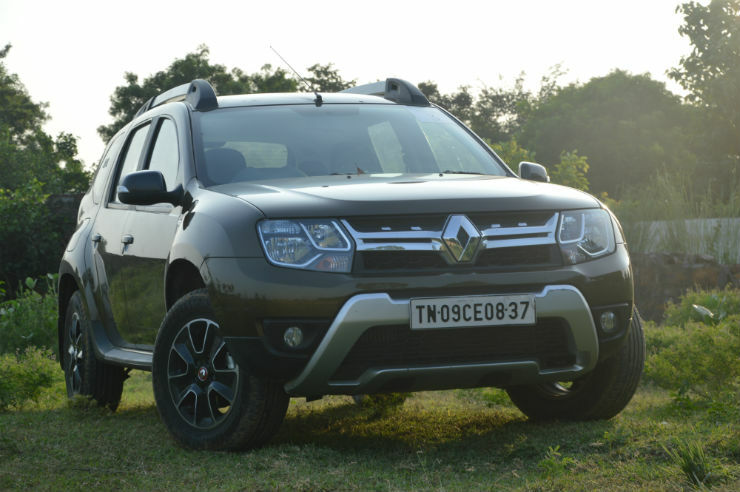 The looks of the Duster are more rugged than flamboyant which is a good thing according to me. The flared wheel arches both at the front and rear give it a muscular look which can intimidate other road users, something which does help in traffic as people think twice before cutting in. On the inside, the interiors too have been spruced up a little. The dashboard design along with the materials have been updated. Even after the update, the plastics still feel very hard and not as premium as that on the Creta. However, keeping inline with the rugged theme, I thought the hard plastics feel okay in this sort of car. The dash now has the DUSTER name engraved on it. The door grab handle and the outer covering of the AC vent are now in red. The center console and the area between the seats now gets a silver colour theme which is something that I personally didn’t like. The instrument cluster has been updated as well. The main talking point about the central console is the touch screen system which controls all the multimedia on the car. It includes navigation as well which is pretty useful. There is a new climate control system added onto the top of the line variant and any changes done to it show on the touch screen system which is a nice touch. The car also has audio controls on steering wheel. 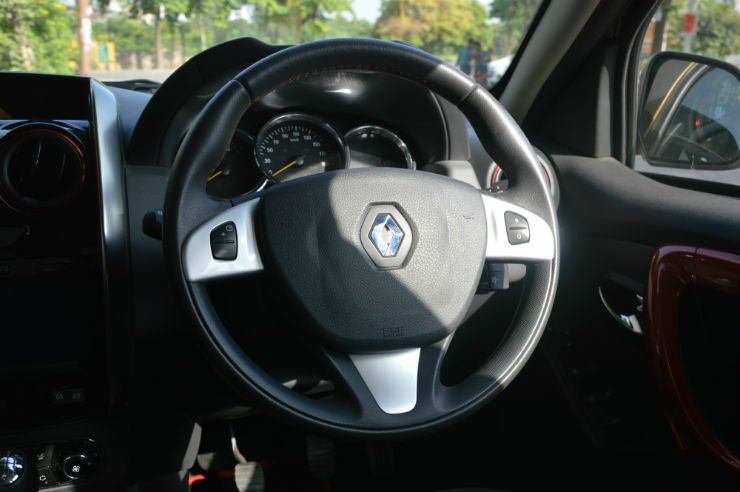 The controls are located behind the steering wheel rather than on the steering wheel like other cars. Though this does take a little getting used to, it is actually a really good thing. Since it is fixed to the column, it doesn’t move with the wheel which is something we really liked. 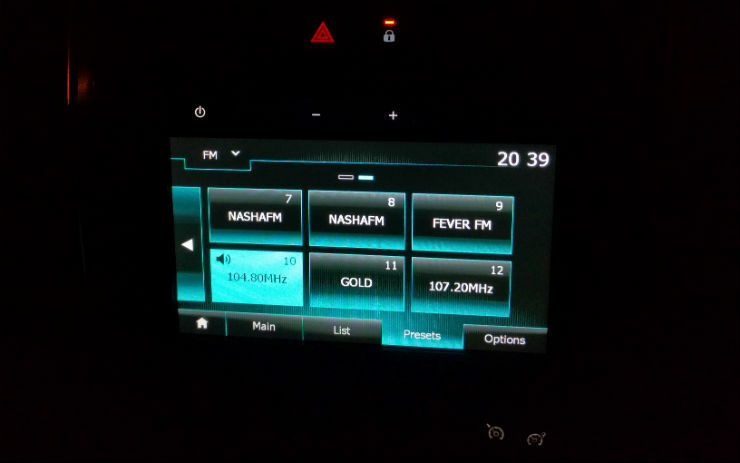 There is a toggle switch to change radio stations and songs but we found the system lagging when we had to change between pages on the radio channels a few times. Let’s talk about ergonomics since that is the most important parameter in a daily driver. 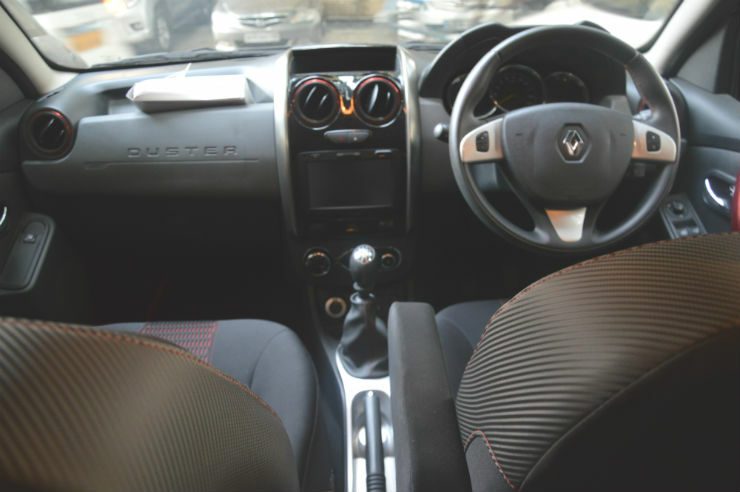 The driver’s seat has an individual arm rest which is very comfortable to use, however only the driver’s seat has one. The passenger has to make do without one. Another thing, putting the seatbelt with the armrest down is a little cumbersome. The seat has lumbar support which is helpful and also has height adjust, but it is annoying to use it. Though the seats are large, but they aren’t very supportive, especially for a thin person. The rear now loses out on the AC vents. 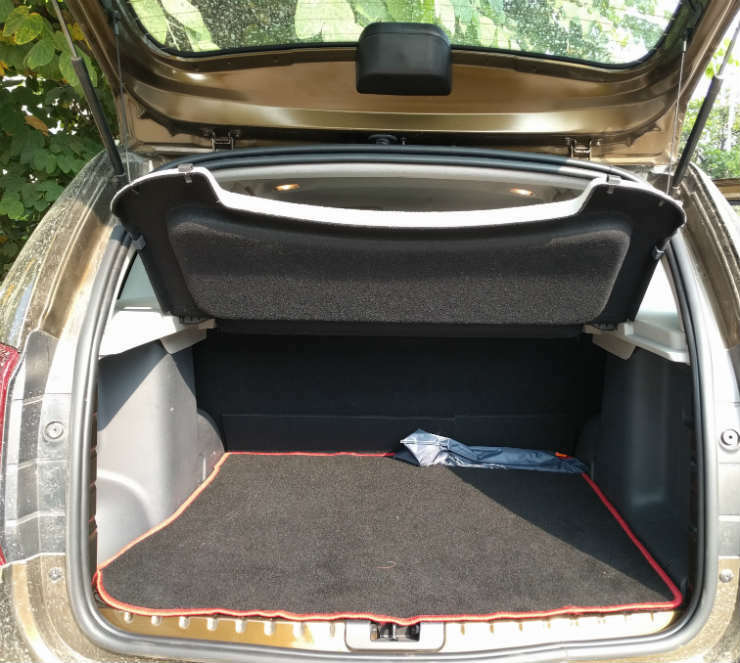 Space is adequate in the car, be it at the front, rear or even the boot. Overall visibility is also pretty nice. The top of the line variant now gets reverse camera and sensors which makes parking a lot easier. Engaging reverse gear can be a little tricky sometimes though. 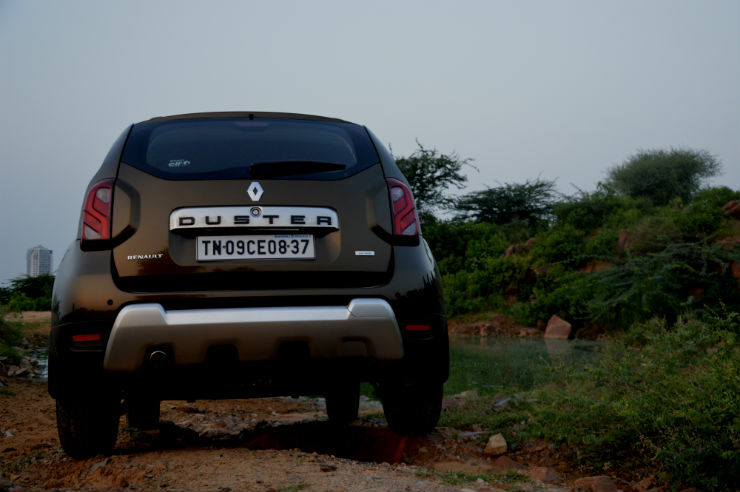 Under the hood, the Duster comes with either a petrol or diesel engine. The diesel engine comes in two states of tune. The AWD trim comes only in one state of tune, the 110 PS. The 1.5 liter K9K unit makes 108 Bhp and 245 Nm. The engine is mated to a 6 speed manual gearbox. The facelift includes a new engine compartment which has been done to improve safety of the car. 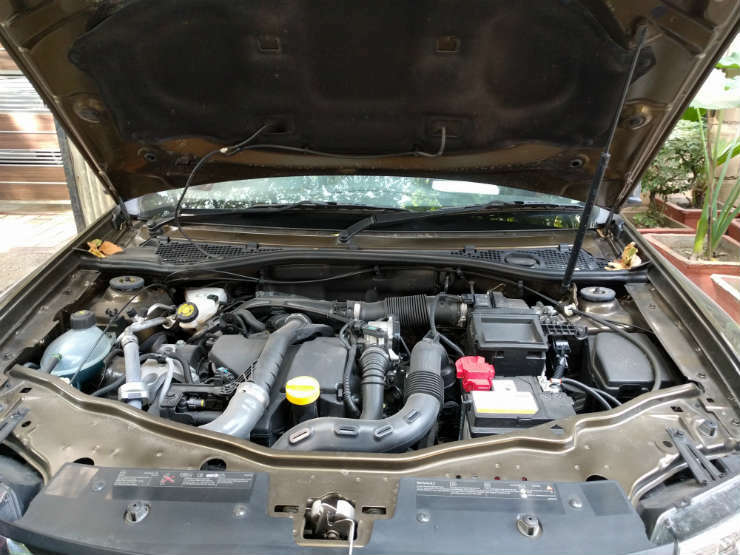 One good thing is the fact that the bonnet now has a hydraulic unit so you don’t have to manually lift the bonnet which is a really nice touch. So how is the vehicle to drive? The first thing I noticed was the fact that the vehicle has really good low end torque and very short gearing. The 245 Nm is available from as low as 1750 rpm which improves driveability. Since this is the AWD variant, the low end torque makes a lot of sense. Since the gearing is short, you could even skip first gear when in traffic. This can be very useful while off-roading and even in traffic. The engine is punchy as well and has adequate amount of grunt through out the revv range. The only thing you will have to work on is the gears. One more thing we noticed was that since the gearing is so short, triple digit highway cruising won’t be very fuel efficient since the engine is above 2000 rpm at 90 kmph. Given that this is a 6 speed gearbox, it is quite surprising. The car also has cruise control which is very useful, especially on highways. Now let’s get to the ride and handling part. This is one area where the Duster excels in. 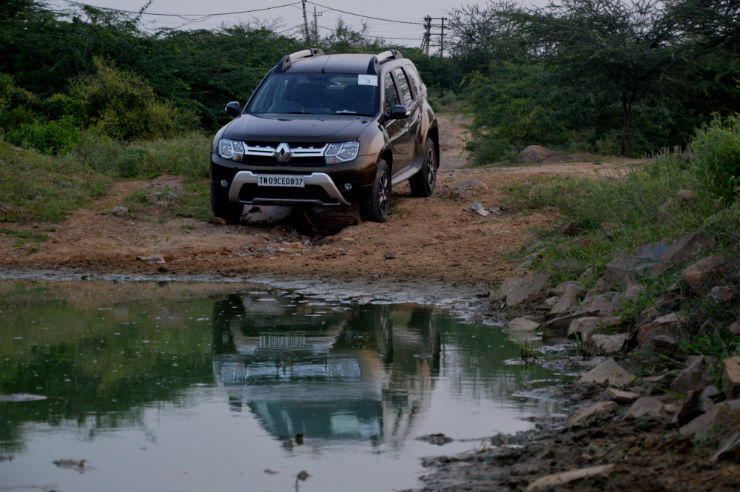 Ride comfort and body control is something that the Duster can’t be beaten in. The setup is perfect given our road conditions. It just gobbles up all the rough stuff. Only downside is that at higher speeds, the ride gets a little bouncy but other than that, the ride quality is perfect for our terrain. 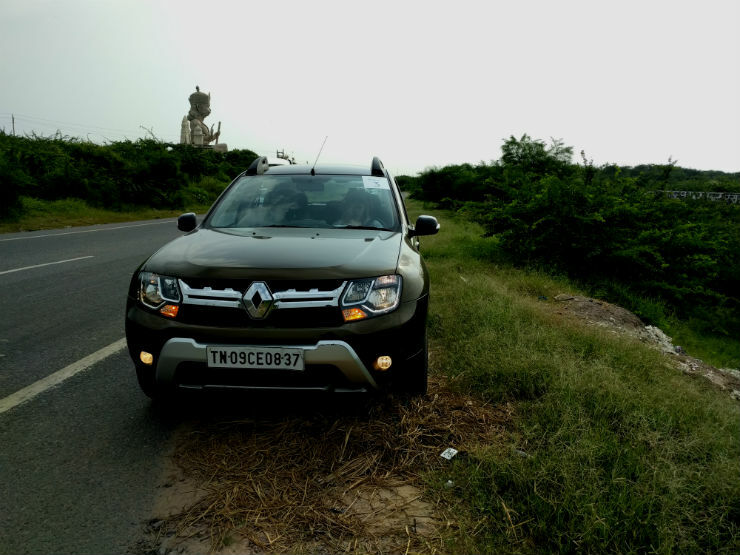 The Duster’s steering is on the heavier side which is a nice thing for those who enjoy driving. Feedback is adequate as well. 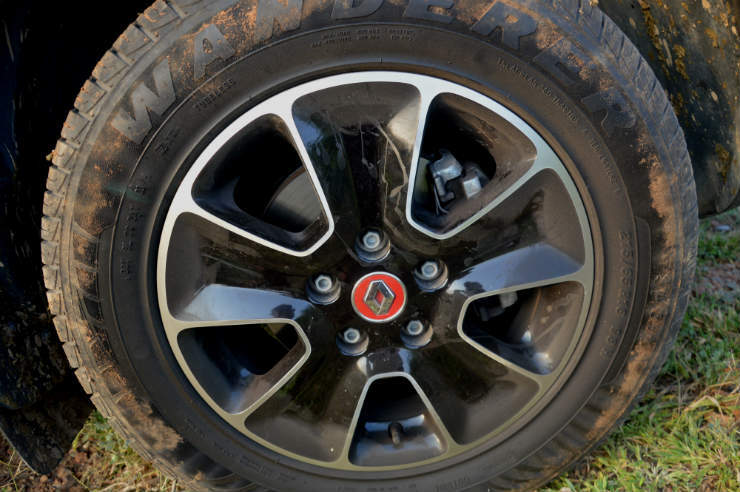 Since the AWD has independent rear suspension, it feels planted also. 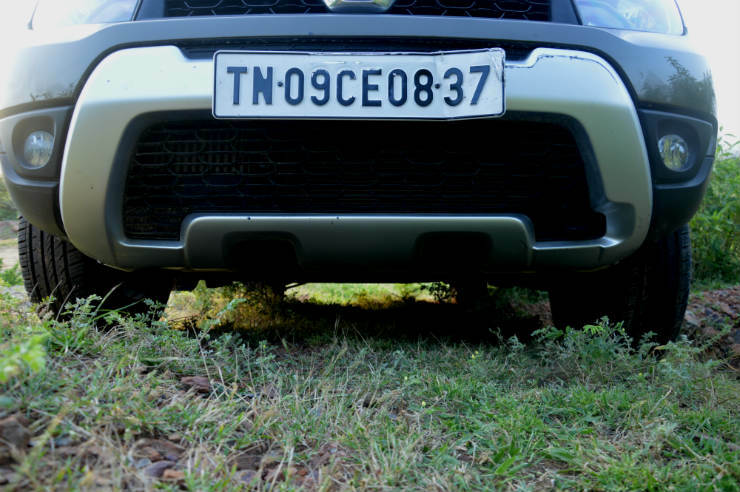 Since the car has 210 mm ground clearance, there is a fair bit of body roll at high speeds when cornering hard, but nothing major. 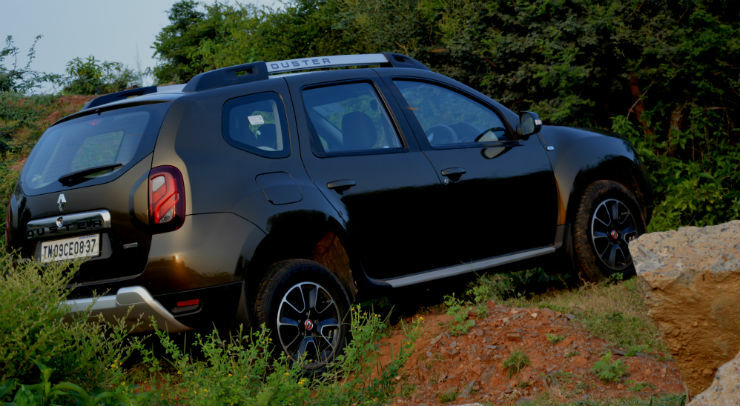 Overall, we would certainly say that this has the best mix of ride and handling in the segment. So should you buy one? 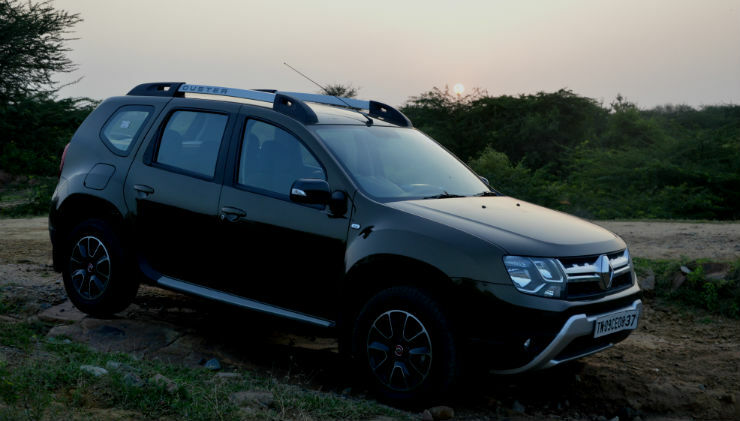 If you are looking for a rugged SUV that can transport you in comfort and can also take you off-road, the Duster AWD is the vehicle for you. 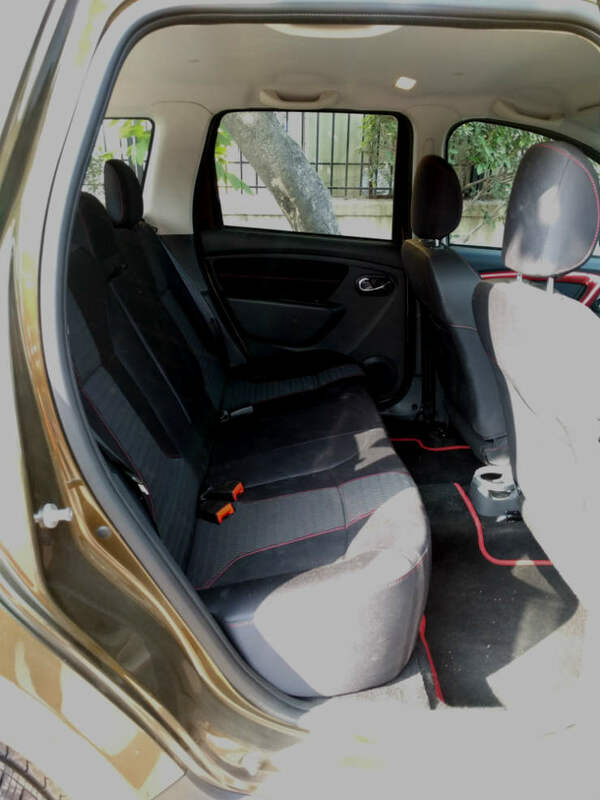 Yes, it may not feel as premium on the inside as the Creta and may not be as feature loaded either, but that the capabilities of the Duster make up. Pricing: 85 PS- Base : Rs 9.34 lakhs, RxE : Rs 9.55 lakhs, RxL : Rs 10.35 lakhs, RxS : Rs 10.86 lakhs, RxZ : Rs 11.56 lakhs.